And The Problems It Causes"
Hi, learn what to do about buried anger. What Problems Come From Buried Anger? 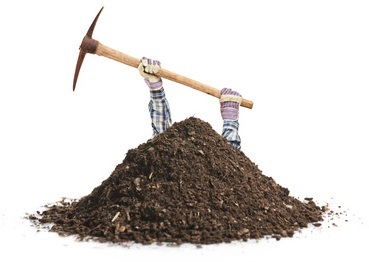 What Happens When Anger Gets Buried? Anger gets buried because we think it's bad and we shouldn't have it. The problem is, it's not bad, and we're supposed to have it...but we never learned how to be smart and healthy with our anger, so we buried it. When it gets buried, it doesn't die or go away. It is alive and powerful, and it needs to be expressed. It will have its way, one way or another--and you want to make sure it comes out without hurting you or anyone else. You add to your buried anger every time you are hurt, afraid, irritated or frustrated...so it grows. The bigger it gets, the more it needs to find a "way out." This is where the whole "volcano" or "pressure cooker" idea comes from with anger. So, an "explosion" often results, which is simply a result of that built up tension and anger inside. This is when you might end up hurting your loved ones and/or yourself. If you don't explode, you might "implode," which means a kind of internal explosion. This can show up as depression, digestive problems, chronic muscle pain, and auto-immune disorders, to name but a few results of chronically suppressed anger. So, you can see that if you "explode" you damage your relationships, and if you "implode" you damage yourself and your health. It just doesn't work to "sit on it," "stuff it," or just "get over it." If you are able really let it go and move on, that's great, but some grievances need processing before you can let them go. That's why some anger sits and brews, and some just dissipates over time. It sits and brews when there are unresolved underlying issues that need to be processed. 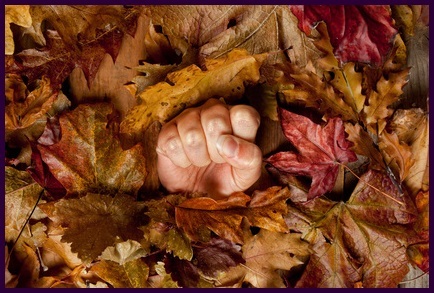 What Can You Do About Buried Anger? Suppressed or unexpressed anger can be uncovered and expressed in ways that are healthy for you and everyone around you. This is a matter of getting to the underlying causes (not just the surface ones), and re-working those memories and issues. Write about your anger and all of the things that caused it. This is the simplest, least expensive choice of all. Just get a journal (or anything to write on) and do these journaling exercises. Talk to a friend, trusted confidant or counselor about it. The person listening has to "stay out of your way," which can be very challenging at times when it comes to expressing anger. For a full description of how to understand, heal and release anger in healthy ways, visit this page, which gives an overview of the journaling and imagery processes that have proved to be highly effective. There is pain behind anger, and where there is pain there is fear. You will need your good heart and your courage to do this work...but you can do it, and if you do it you will succeed. Now, learn about our best-selling audio program, which helps you get to the bottom of buried anger. This highly effective audio program, available as a CD or MP3 download, will give you all of the basics on how to understand and heal your anger. This program uses powerful imagery and spoken messages that actually allow you to communicate with your subconscious mind for emotional healing. Listen to a free preview, and purchase your CD or download. New articles. Read new contributions from good folks like you, such as this story from a very bright young man, called, The Demon Monster Inside Me, and this one by an extremely wise and strong woman, called, My Low Self Esteem Invited The Wrong Guy. This next story is from a woman who is angry and wants to seek revenge on her sister in law: I Want To Teach My Sister In Law A Lesson.